Let Justice Work For You! The Right Attorney Makes All the Difference - 704-334-1312 You deserve to be able to speak directly to your attorney when you have questions and get top quality results. I have been handling workers' compensation and personal injury claims for 17 years. When you have an attorney in your case, you want to speak with THAT attorney, you want professional results, experienced advice you can trust, and you want it fast. You'll find that here. When someone suffers a serious injury, their focus should be on getting better and moving on with their life ... not on whether their attorney is returning their calls, has enough experience, or can be trusted. Why choose my firm: Quality advice from a specialist in injury law - 16 years experience handling work comp and serious injury claims. Personal service - you get to speak with and know your attorney. Excellent results - We not only move quickly in our cases; we achieve very pleasing results for the majority of our clients. People that are hurt DESERVE an experienced and driven attorney that places your interest and his relationship to you above his desire to quickly make money and move on to the next case. We do not collect a fee unless we win your case. We offer a free consultation. 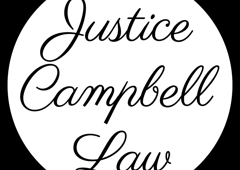 704-334-1312 Our website is www.JusticeCampbellLaw.com The Law Office of Justice H. Campbell, P.L.L.C., is a North Carolina licensed personal injury and workers compensation firm representing individuals in the greater Charlotte metropolitan area. Member: North Carolina Bar since 1999.